Düpa Do (Tib. དུས་པ་མདོ་, Wyl. ‘dus pa mdo), Do Gongpa Düpa (Tib. མདོ་དགོངས་པ་འདུས་པ་, Wyl. mdo dgongs pa ‘dus pa), The Sutra which Gathers All Intentions — the principal text of the Anuyoga, which is part of the kama tradition. It consists of 75 chapters and was translated from the language of Gilgit by Chetsun Kyé, a native of Gilgit, in the late 8th or early 9th century. 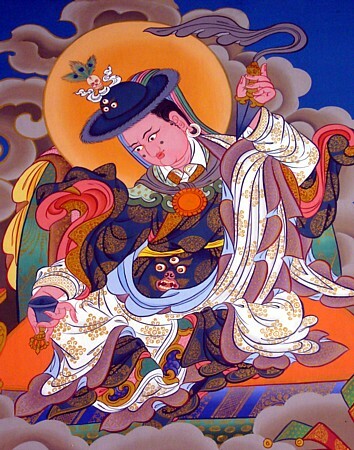 The Anuyoga tantras were brought to Tibet by Nupchen Sangye Yeshe. The sadhana corresponding to this tantra is the Tsokchen Düpa. In the sadhana of Tendrel Nyesel, we invoke the mandala of deities from Tsokchen Düpa and recite their mantras. Rigdzin Pema Trinlé (1641-1717) wrote an explanation of the empowerments of Düpa Do at the request of the Great Fifth Dalai Lama. Lochen Dharmashri (1654-1717) wrote a ‘dus pa mdo skor gyi yig cha. Khenpo Nüden wrote a dgongs ‘dus ‘grel chen. Khenpo Ngakchung wrote a ‘dus pa mdo’i bsnyen yig. Dudjom Rinpoche, The Nyingma School of Tibetan Buddhism, Its Fundamentals and History, trans. and ed. Gyurme Dorje (Boston: Wisdom Publications, 1991), the story of the transmission of this text is given throughout History (Book Two), Part Five; also read Part Seven, 'Ch. 3 Response to Critics of the Sutra which Gathers All Intentions'. Jacob Dalton, The Gathering of Intentions: A History of a Tibetan Tantra (New York: Columbia University Press, 2016). This page was last edited on 9 November 2018, at 04:40.